"The Boston Marathon, the oldest annual marathon in the world, will celebrate its 114th anniversary this April. Long time sponsor John Hancock Financial, which became the main sponsor of the event in 1986, will celebrate its 25th anniversary as sponsor by creating a Twitter page." - Opening line of news release issued on MyBankTracker.com. We can't believe people get paid to come up with this stuff. Tampa Tribune reports Xavier Carter arrested in Tampa for carrying a concealed weapon, marijuana. 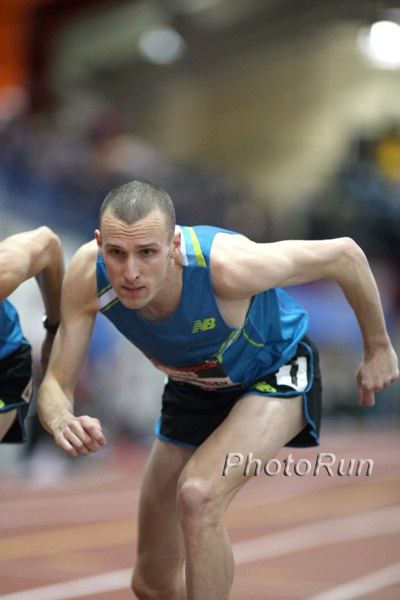 Coming Tomorrow At 8 PM EST -Episode #3 Of Training Talk With Brett Gotcher & Greg McMillan Training Talk is back with its first edition of 2010 and we've moved it up to Wednesday so we can feature the 4th-fastest US debut marathoner in history Brett Gotcher and his coach Greg McMillan. Email us your questions in advance or call them in when you listen in live on Wednesday at 8pm EST. Wanamaker Mile Gets Big Boost! Bernard Lagat will have to earn his 8th title by beating the lanky Olympic champ Kenyan and fit Brit Andy Baddeley on the 11-lap-to-the-mile track. If you're around NYC, join Rojo and Employee #1 in Madison Square Garden to watch the Millrose Games and Wanamaker Mile or tune in and watch it on television.